With nine wins, eight second places, three thirds and many more, we can’t think of a better way to kick start the rowing regatta season. 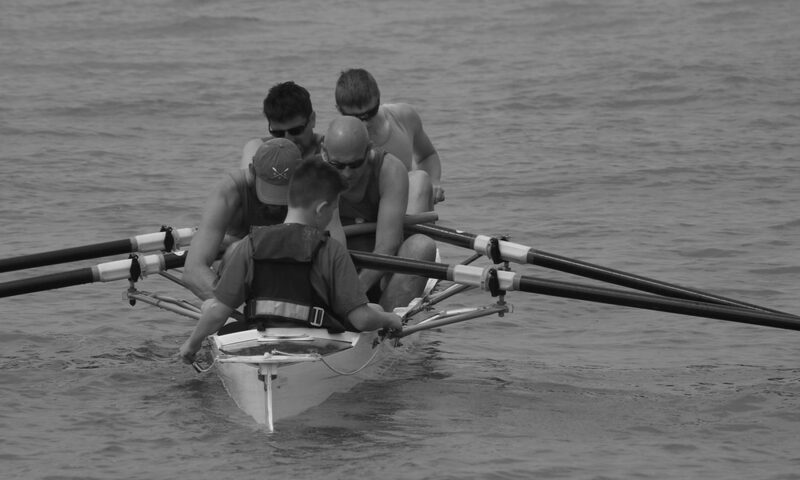 The weekend saw Herne Bay Amateur Rowing Club travelling to Bexhill and Hastings to race on both days in the sweltering sunshine and choppy waters. But rough seas are what the club are used to, so they were in their element! The Masters 40+ crew, consisting of new captain, Darren White, Liz Taylor, Stuart Webb and John Cox went in to win straight away. Coxed by Maisie Jeffries on both days who pushed and shouted the well experienced crew into first place. The Master 50+ also did incredibly well both days. On the Saturday they were slightly beaten by the Hastings crew, who are celebrating their club’s 150th anniversary this year. However, the Bay crew made up for it by coming first on the Sunday. Well done to Maisie Jeffries who helped them get to that finish line. Well done to Junior 14 boys crew: Jacob Webb, Will White, Bradley Perry-French and brother Lewis Perry-French with Adam Taylor as cox, who beat the other crews by miles coming first in their race. The men’s Junior four crew had an awesome start in both races, getting them that lead on the other crews in the race and landing them into first place on both days. Their crew consisted of bow man Manuel Marques, Will White, Tom Harris, Luke Taylor taking stroke position on the Saturday and James Dawkins joining the crew on the Sunday. This also means that young Will, at only 14 years old has moved up from Novice to Junior status. The crew to watch was men’s senior four race, made up of Ryan Hosking in Bow, Tom Walton, Dan Ritchie and Will Campbell leading and keeping the pace in stroke and again coxed by twelve year old Maisie Jeffries. The powerhouse crew sped through the water beating the other crews by many lengths on the Sunday at Bexhill. Luke Taylor and Manuel Marques were definitely on form this weekend as they jumped into their pair boat, beating all other crews to the finish line. These two have been competing together and training all winter, so they deserved to get to first position. The race that amazed us all on the Saturday was the ladies junior pair. Georgia Shelton and Jasmine Amos have only been training a short while as a pair and absolutely smashed it in their race by coming second. They may not have come first, but they should be so proud. Another second place was achieved on the Sunday by the Ladies Junior four crew: Jasmine Amos in stroke position, Heidi White, Georgia Shelton and Stephanie Rondel in bow. It was lovely to see everyone working together so well. Hastings and Bexhill was a huge success and with all of these wins, meant the club achieved second place in the grand aggregate and won the junior aggregate trophy for the weekend. Maisie Jeffries has to be the coxwain of the weekend, as she was the one directing, steering, shouting and screaming the winning crews into their subsequent places! Well done to Maisie.